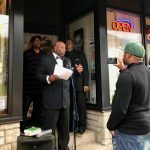 South Side community members are optimistic about a new police initiative that will increase the number of officers on foot and bicycles in Milwaukee Police District 2. 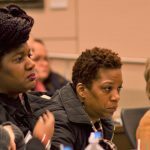 The ACLU of Wisconsin is working to inform residents about the impact of a lawsuit targeting stop-and-frisk that led to police reforms in Milwaukee. 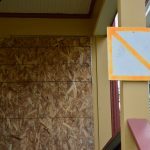 The Milwaukee Fire Department defended its practice of placing warning signs on abandoned homes and vacant buildings, stating that it is important for firefighter safety, while Ald. 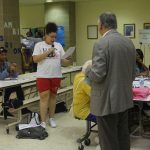 Robert Bauman expressed concern that they will attract criminal activity. 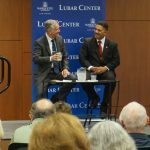 In a recent appearance at Marquette University, Police Chief Alfonso Morales discussed plans to bring community policing to the Milwaukee Police Department, but failed to address concerns about use of excessive force. 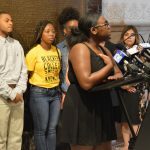 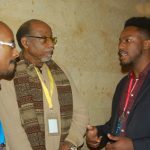 In response to the violence plaguing Milwaukee, including 19 homicides in August, the city’s Youth Council called for a cease-fire over Labor Day weekend as part of its plan to reduce violence in the city. 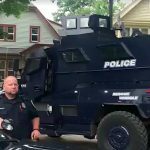 A video recorded and broadcast on Facebook by community activist Dennis Walton and others shows a heavily armored West Allis Police Department vehicle preparing to conduct a raid. 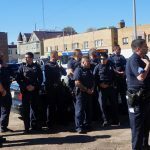 Response times for non-violent crimes average more than 40 minutes, though in some cases are much longer, according to a Milwaukee Neighborhood News Service analysis of Milwaukee Police Department dispatch data. 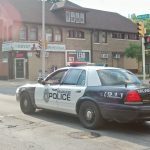 The average response time for a stolen vehicle is 68 minutes.